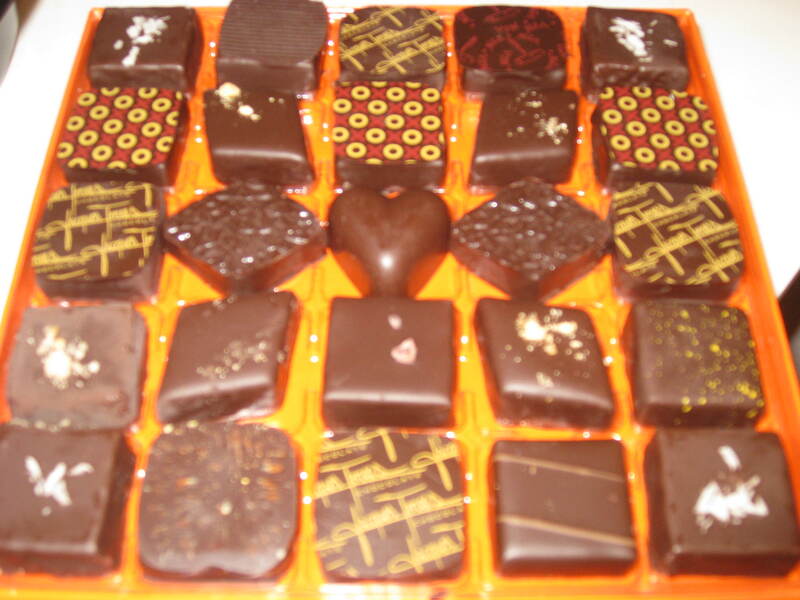 Parent’s Dinner Party – Dessert Time! Although the meal was sooo good, dessert is always our favorite time! I made a deelish Fresh Mango Coconut Cobbler, my Mom brought yummy home-made vegan cookies and my Mother in Law brought amazing Jacques Torres Dark Chocolate and fresh fruit! How fabulous!!! Thank you for coming over and sharing a wonderful meal with us! For the crust, process pecans, vanilla, and salt in food processor with S blade. Add pitted dates and process until mixed well. Sprinkle half of the cobbler crust onto the bottom of your pie dish, and set aside. Place sliced mango into a large mixing bowl and toss with Orange Coconut Syrup. Place all ingredients into blender, adding water as needed to make a smooth syrup. 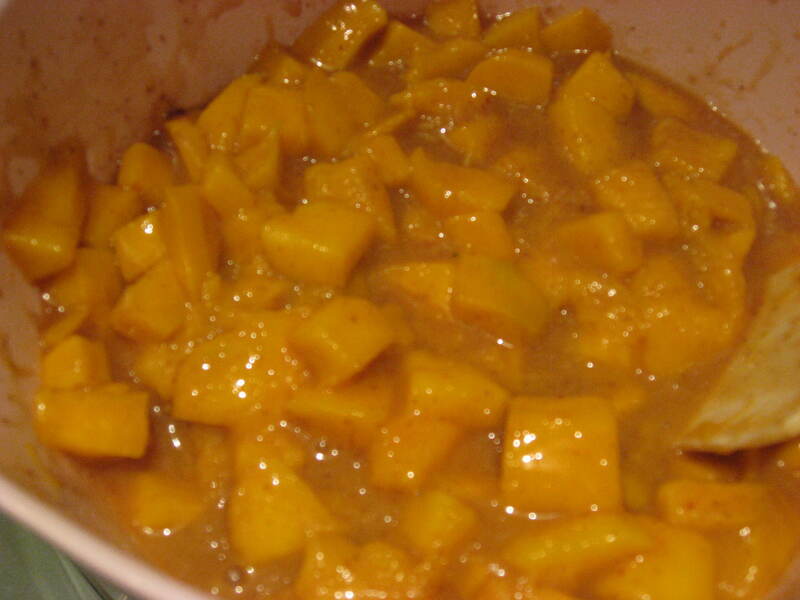 Pour syrup into bowl with mango, and mix well. 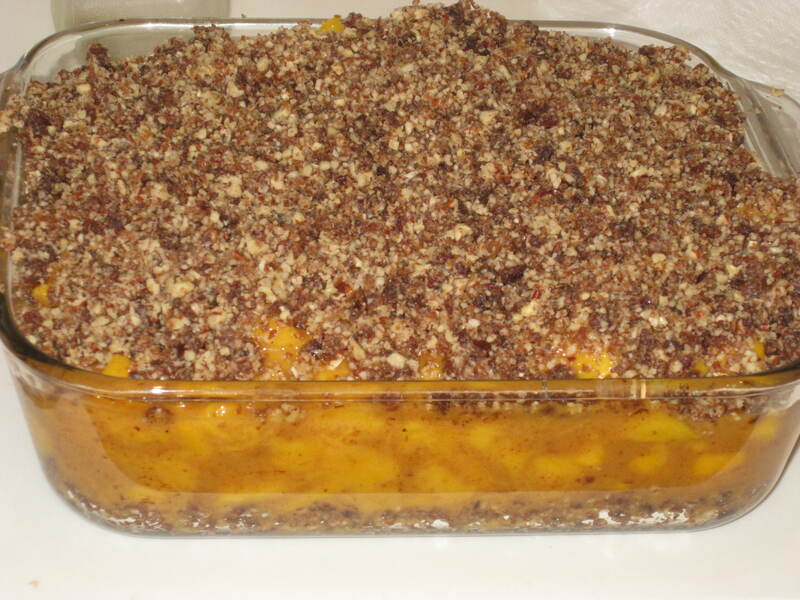 Scoop coated mango onto cobbler crust. Top with half of remaining cobbler crust and serve! Will keep for 3-5 days in refrigerator. Try as a delicious way to start your day! Mix together flour, baking soda, cinnamon and salt in a small – medium bowl and set aside. In a large bowl, mix together oil, sugar, and vanilla. 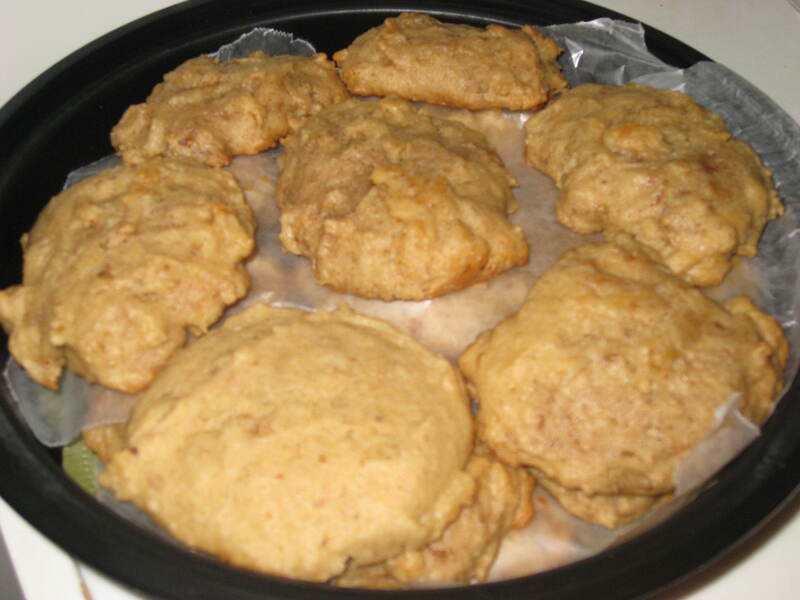 Mix in mashed banana and baking powder. Add ingredients in the small bowl and stir well. Once it is well stirred, lightly mix in the crushed handful of walnuts.